Diwali is the festival of lights and bright colors. This is a widely popular festival in India. Ladies prefer to make new dishes to welcome the guests. Similarly, they also draw beautiful diwali rangoli designs outside the home to showcase their arts. 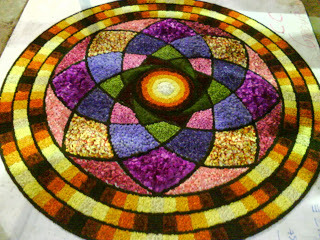 It is believed that the rangoli designs bring peace at home. 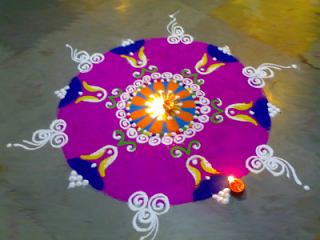 Even, Diwali is widely linked to rangoli designs. 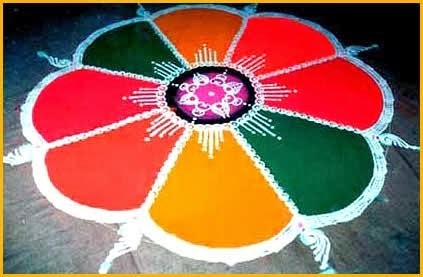 The rangoli and colors is the true identity of the festival. It is a way to welcome the lord. Besides religious belief, it is said to be linked with unknown scientific reason. Of course, science is yet to find out the importance of the rangoli designs. The Rangoli colors holds a great importance in the culture of India. 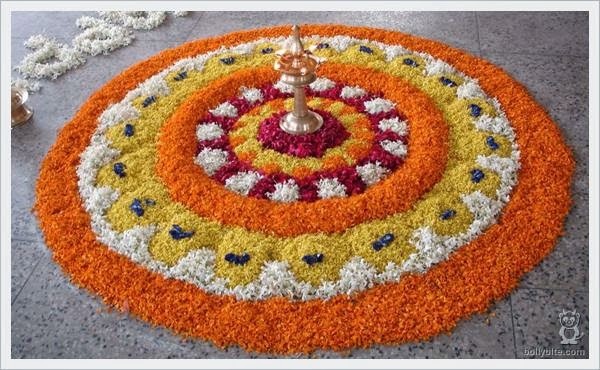 South Indians prefer to draw a rangoli every morning. They firmly believe that it keeps evil spirits away from the home. It also brings prosperity and peace in the life. You can even download some of the latest diwali 2017 SMS and greeting messages to wish your family members from http://www.123wishes.net. A large number of festivals are falling every year in India, but Diwali holds the utmost importance for the lovers of bright colors. It brings great cheers to people and make them united. 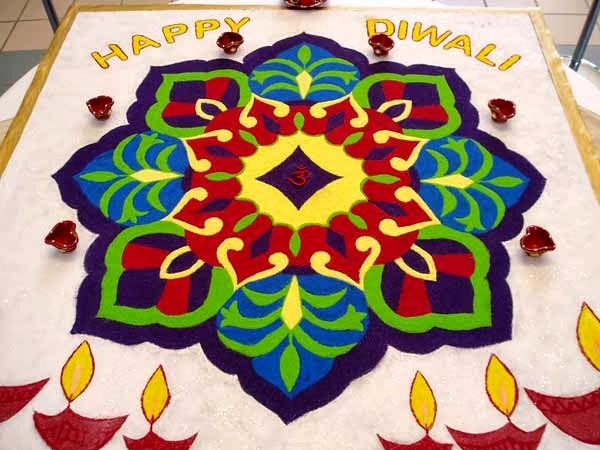 Diwali is the biggest festival of India and Rangoli enlightens the festival with different colors besides fire crackers. The gleam of Diyas and colors of Rangoli makes the festival bright. 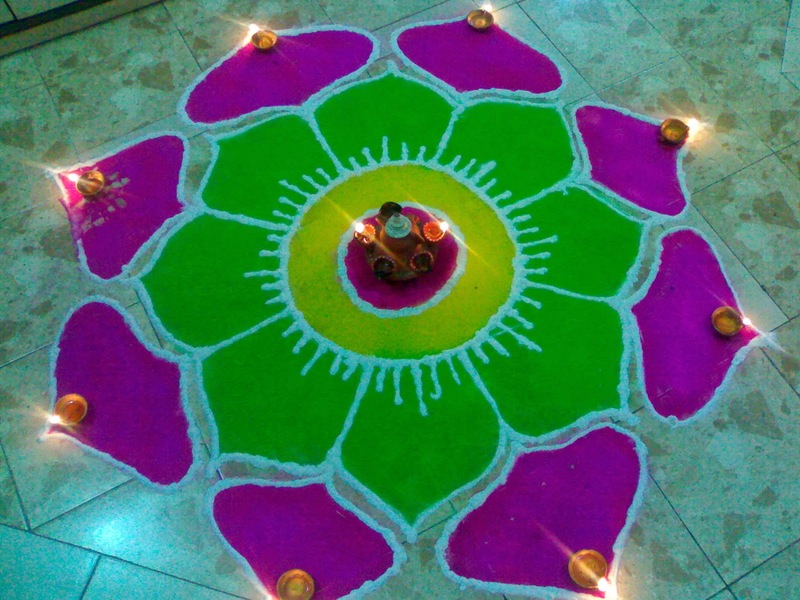 Nearly every household of India celebrating Diwali decorates the house by Rangoli. The art of Rangoli was basically originated in Maharashtra and is popular all over the India. See some of the best diwali imageswhich we covered previously on this blog. It is used in different festivals. Rangoli is called Alpana in West Bengal and Kolam in South India. 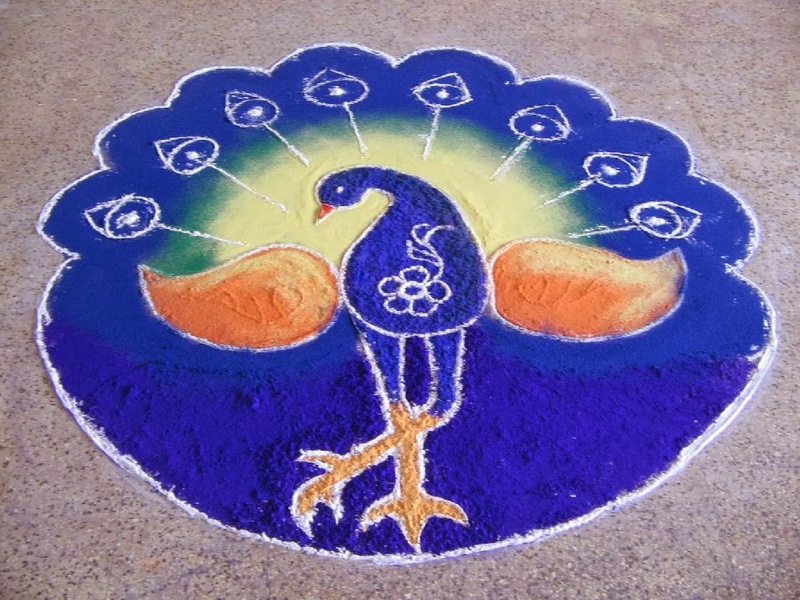 The Rangoli must be unique and impressive to attract people. It can be of any shape and design. It is hard to find the best design of Rangoli. After some research, we had found some designs for Rangoli to make it look more beautiful and unique. Take a look at our diwali rangoli collection.